Our Open Days are on Wednesday 8th and Thursday 9th May. The School is ‘open’ from 8.40am to 1.10pm, and again from 2.15pm to 3.30pm. There is no need to book – please turn up at a time to suit you. We suggest you allow about an hour for your visit. Welcome to Sir Thomas Rich’s website. I hope it gives you a flavour of what life is like at Rich’s. We work hard to create an environment where students will be happy, grow in self-confidence, thrive academically, and make the most of the many opportunities we offer. 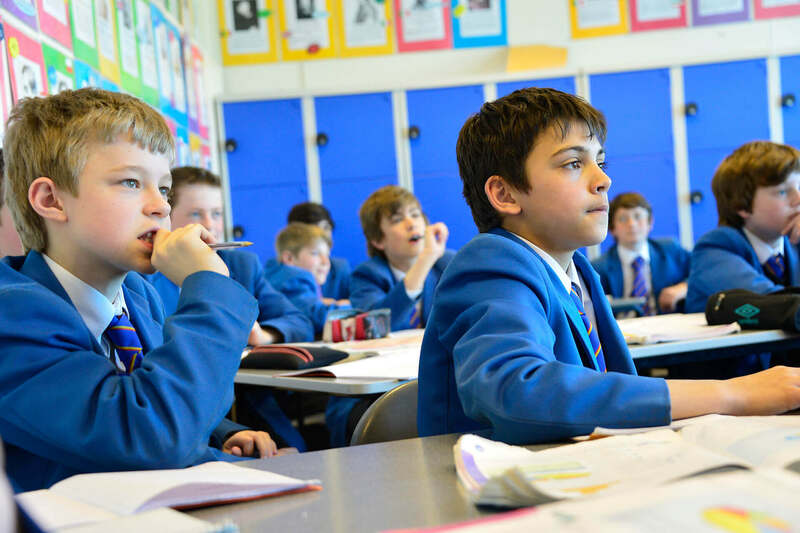 We pride ourselves on the pursuit of excellence both inside the classroom and out, and on encouraging pupils to develop their talents and interests. "Sir Thomas Rich's aims to develop students with self-discipline and resilience, a passion for learning, enquiring and creative minds and an appreciation of our heritage. Pride in belonging to this Blue Coat school will ensure that pupils profit from the many opportunities they are offered. They will be well prepared to take responsible places in adult life." We welcome visitors to Sir Thomas Rich’s School. Our opening hours are between 8.40am and 3.30pm. Sir Thomas Rich's is located in Longlevens, on the eastern edge of Gloucester. Access from the M5 and Cheltenham is excellent as we are less than a mile from the Golden Valley by-pass. Journey time from the M5 is less than ten minutes.